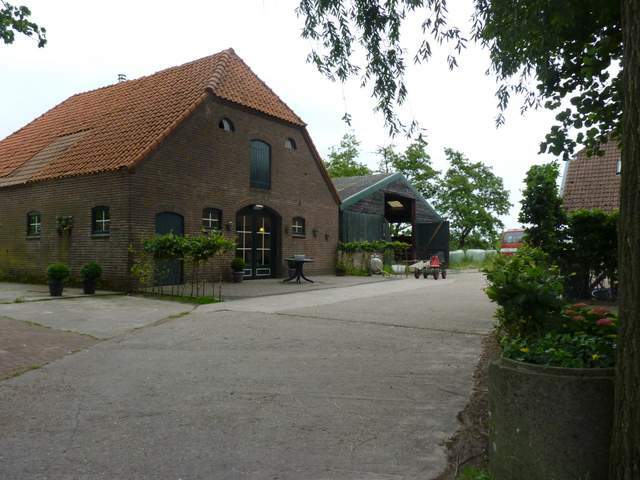 De Bonte Sik is a small family farm totaling 8ha, run by Marjoleen and Ap van Davelaar. 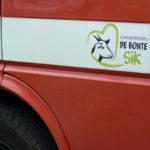 A translation of the name of the farm leads one to expect to find a goat here because the name De Bonte Sil means the Colorful Goat. What is interesting is that one can meet here not only one or two goats but a whole herd. 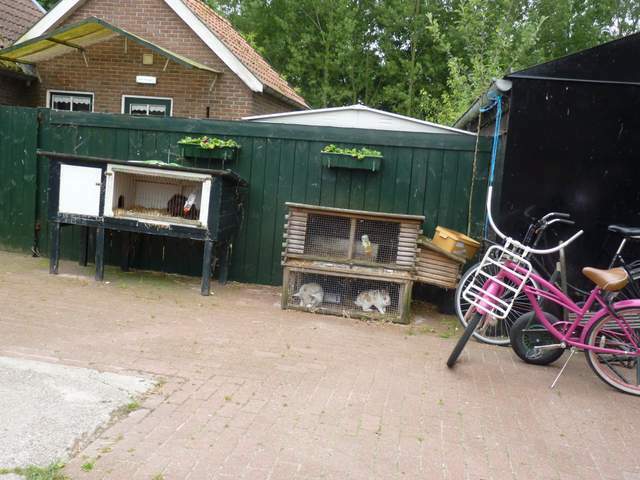 The farm also boasts rabbits, hens and a vegetable garden. 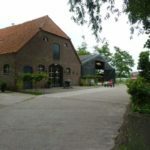 The van Davelaar’s started their Care Farm venture shortly after 2000 when the Dutch government began promoting alternative agricultural production methods for sustaining the economic future of farming. These were through the development of tourism, B & B’s, and Care Farms. Ap and Marjoleen knew that they would not be able to go into dairy farming due to restricted milk quotas, they therefore decided to chose one of the alternative options offered by the government. Because Marjoleen worked as a social worker they were both aware that there were few in the farming industry who understood what was needed to set up. 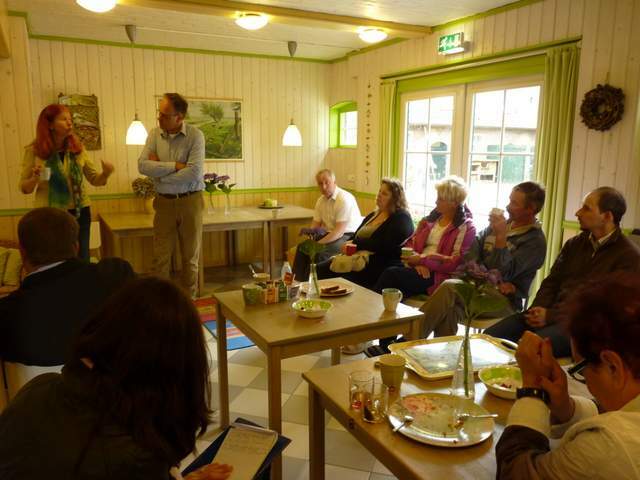 With help from her husband Marjoleen was ultimately enabled to commence working from home. She resolved to set up a Care Farm and work with people who were socially stigmatized. 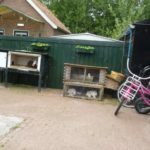 The couple studied, and due course graduated from their Care Farming courses, including a specialization in child care They then commenced their new business activity. 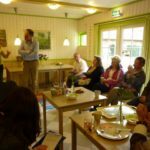 Initially they only worked with between 1 and 3 individuals, but gradually that number was increased to eight participants at De Bonte Sik. They are mainly children and teenagers whose behaviour is very disruptive at school and at home. They are disturbed individuals. 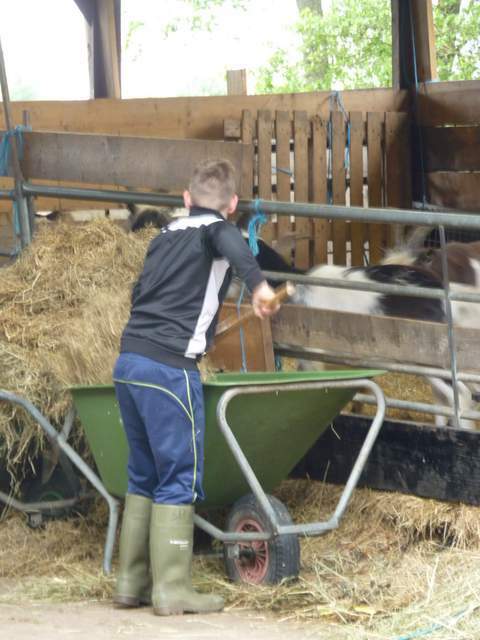 Thanks to the duties they are given on the farm they get accustomed to a specific daily rhythm, they learn to take responsibility for their appointed tasks and how to cooperate in a group. 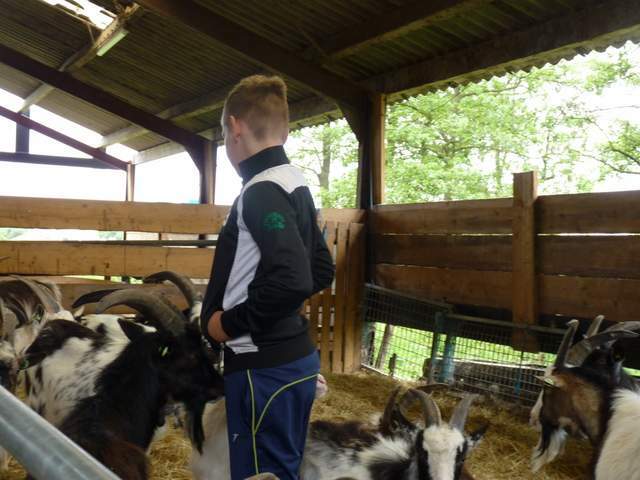 Some of the participants come to the farm during a time-out program, for those who create serious problems at school. 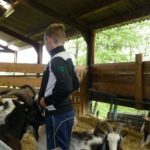 Instead of being in the classroom they are sent to the farm in order to help them calm down and learn how to function as part of a group. 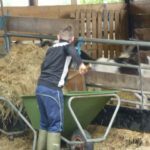 The farmers can give them their time, acceptance and conversation which is something that is lacking at school or a in a chaotic and educationally ineffective family. There are also delicate children who stay on the farm when there are no disruptive children attending. These children require a completely different approach due to their sensitivity to change, and their social and emotional vulnerability. Contact and working with animals helps them to gain a feeling of self-worth, to overcome their fear of the new or the unknown. As soon as the van Davelaar’s had gained enough experience they decided to extend their remit and began offering weekend residencies. They redecorated the house they had received from their mother in which the participants have their rooms now. The farm specializes in caring for children and teenagers, and individuals with mental illness. The day on the farm is organized according to a specific plan. This is very important. 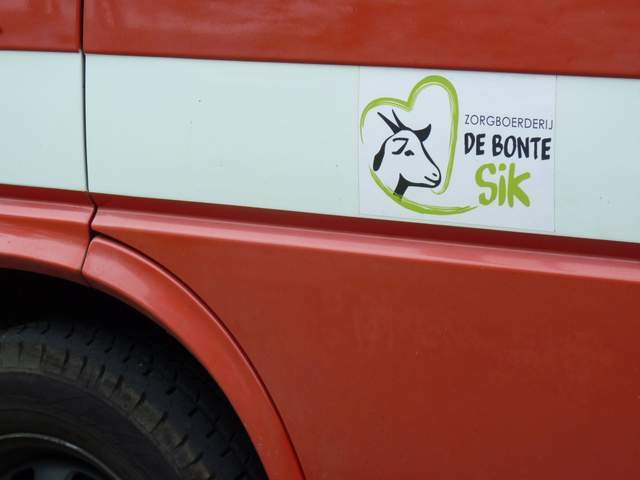 The participants come to De Bonte Sik at about 9:00 when the van Davelaar’s five children are at school. The day begins with a communal cup of tea. Here they plan the tasks to be done on the farm. Following this the participants go out with their hosts to feed the animals. Each child has a favourite animal that they are responsible for. Between 11:30 a.m. to 12:30 a.m. the participants take a rest or play in the big wooden playground The playground was donated by a charity. All eat dinner from 12:30 p.m. to 1:15 p. m. After dinner they all resume working on the farm. They finish work at 3:00 p.m..